It’s a rollercoaster and it’s scary! This is what the rapidly changing world of work can be for those of us whose careers have been in an office from eight-to-five. For younger people, this technology-driven world is familiar and offers an opportunity to work as a nomad or remotely. I have just finished reading a new book by Chip Conley called Wisdom @ Work. Chip was invited as a 50-year-old to mentor the young “tech” team who were starting Airbnb several years ago. This book captures lessons he learnt about equipping both young and old for this new environment. Chip mentored these young entrepreneurs on leadership, hospitality expertise and emotional challenges faced when building and leading teams. When he attended their strategy sessions, he found their “tech” speak confusing and new to him. At the same time, he needed to acquire a range of digital literacy skills. He labelled himself a MENTERN. He mentored them privately, and he interned with them publicly to fast-forward his learning on this evolving work environment. This new world calls for us to examine our own lives, to identify possible gaps we have and where we can find the help we need. The best-case scenario is where we each learn from the other. You may need help with technology skills and, at the same time, offer guidance as a mentor to a younger person. Trade with each other; this may be a family member or someone in your community. It may be trading your industry expertise for help with new developments in your industry, say, an older engineer with a younger engineer. There are wonderful ways in which young entrepreneurs can be matched with older experts in their fields, and this combination takes the business thinking and success to a much higher level. The greatest challenge lies in respecting and understanding each other at the start of this process. The older mentor needs to be humble and open to learning, and the younger person needs to be willing to be teachable, open to sharing and growth. The right dynamic from the beginning can have remarkable results and form a strong partnership. His book is a great read and a chance to challenge our thinking and make a difference. We certainly need one another. The human factor is key. You are unique and have a valuable contribution to make. You may need to adjust your mind-set somewhat. An exciting adventure awaits. 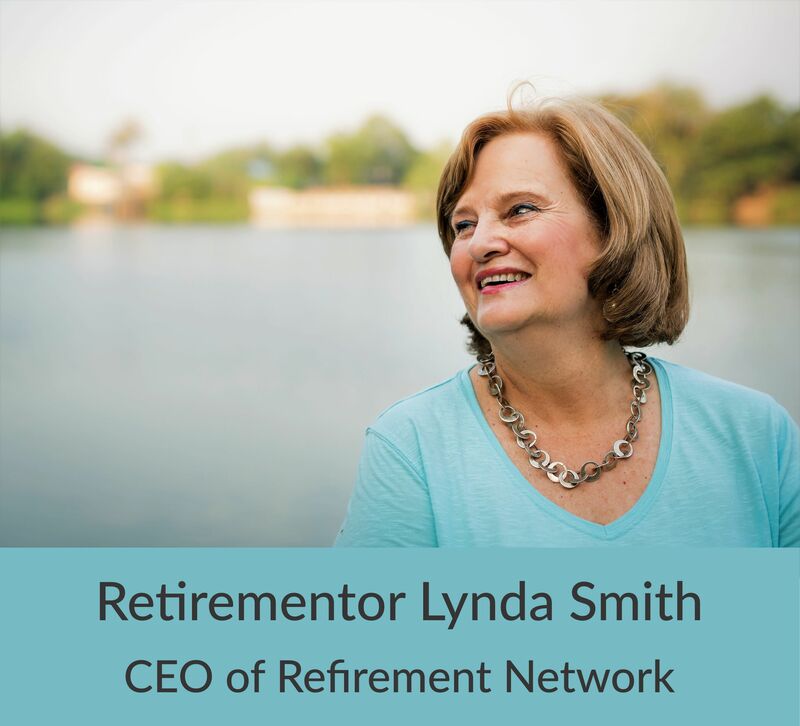 Lynda Smith is a Retire Successfully Retirementor, and CEO of the Refirement Network (“Don’t retire, refire!”). 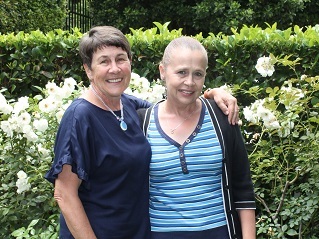 She recently introduced her innovative Fifty Plus-Skills to the South African retired community – and it is proving to be a popular way for retirees to seek work and for companies to hire experienced personnel. Value what you bring to the marketplace – stay open to learning and growing, but know that you have a valuable contribution to make. Whether you’re thinking about the delicious nougat and ice cream, or the person herself, Sally Williams is nothing short of delightful. My ten days spent with Sally Williams this past December on holiday in Rocktail Bay was inspirational! It went beyond just a wonderful break, jam-packed with everything that makes a holiday perfect: fun, time to relax and spending time with my family and friends. These ten days were motivational. Infectiously so, because without even trying, Sally has a way of inspiring you to live life to the full. She does that with authenticity because she’s a living example of how mid-life can be the start of a whole new chapter. The incredible thing about her story is that, at a time where most people are thinking of their retirement years, Sally’s life was about to restart – at 54 years of age. With her abundant positive attitude that helped her enlist the right people along the way, she truly embodies the notion that anything is possible. After supplying her nougat to a few retail outlets, she knew she was onto something magical. Driven by her entrepreneurial spirit, and often staying up through the night cutting her nougat by hand, wrapping it in wax paper, and personally delivering orders, she made a net profit of 1.4 million in her first year – all from her garage. 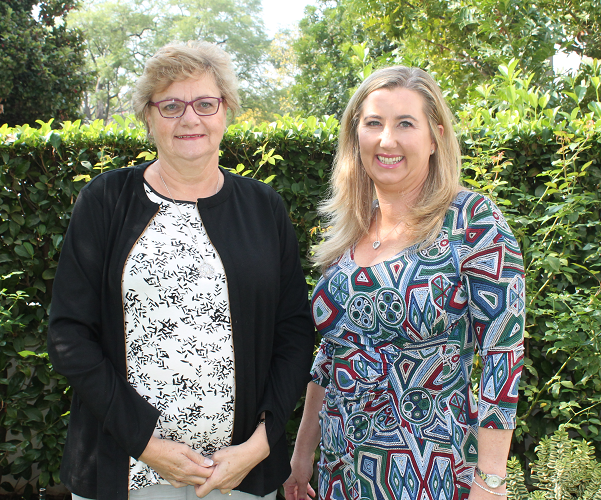 Even though Sally had incredible support from her late husband who doubled up as her bookkeeper, she soon realised that she needed outside help to sustain the business’s unprecedented growth. She brought on her son-in-law as a silent partner and recruited newly-graduated chefs to help make the nougat and bring some fresh thinking into the brand. At this point, her nougat was already selling internationally. After 18 months, Sally moved her business from her garage to a factory in Kramerville in Johannesburg. She kept up this extremely busy pace for eight years until her (now late) husband, who had retired before she did, suggested that they sell the brand and enjoy the fruits of their labour. Sally was 62 years old at the time. Being married for 52 years with four children, nine grandchildren and a successful household brand is truly a remarkable achievement for anyone. But Sally is not quite done yet. She is gearing up for her next project: writing her own recipe book. Sally is once again determined to team up with technologically savvy younger generation to turn this idea into a reality and I am eager to hear what this mentee and mentor relationship will yield. I feel so grateful to have spent this time with someone with so much courage and positivity. I hope that by sharing Sally’s story, you too can find your courage to persevere in reaching your end goal – and perhaps teaming up with someone from the younger generation is just what you need to give your next project a little jump start! 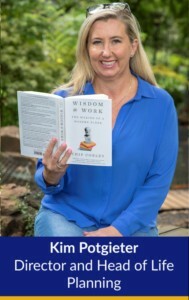 If you’re feeling a bit stuck in the midlife phase and transition into the next chapter of your life, why not read Chip Conley’s new book, Wisdom at Work: The Making of a Modern Elder. This book is based on his experiences and insights as he transitioned from CEO of the hotel group Joie de Vivre, which he ran for 24 years, to joining Airbnb as mentor to cofounder, Brian Chesky. Conley felt a bit out of his depth in this very modern, digital environment and quickly discovered that he had as much to learn as he had to teach. 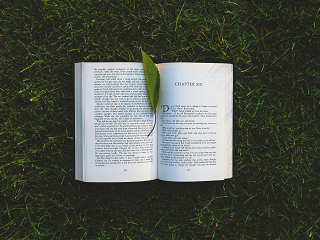 The course I will be attending this month, Consciously Curated Life, is part of a series of workshops run by Chip Conley’s Elder Academy and based on his book. What excites me most about attending this course is sharing the wisdom with our RetiremeantTM community. For many people, the mere thought of what they are retiring TO fills them with fear and anxiety. It’s about not feeling relevant and no longer “fitting in” to the modern workplace. It’s also about having to adapt, change and finding new opportunities when you may not be ready to leave where you are currently. 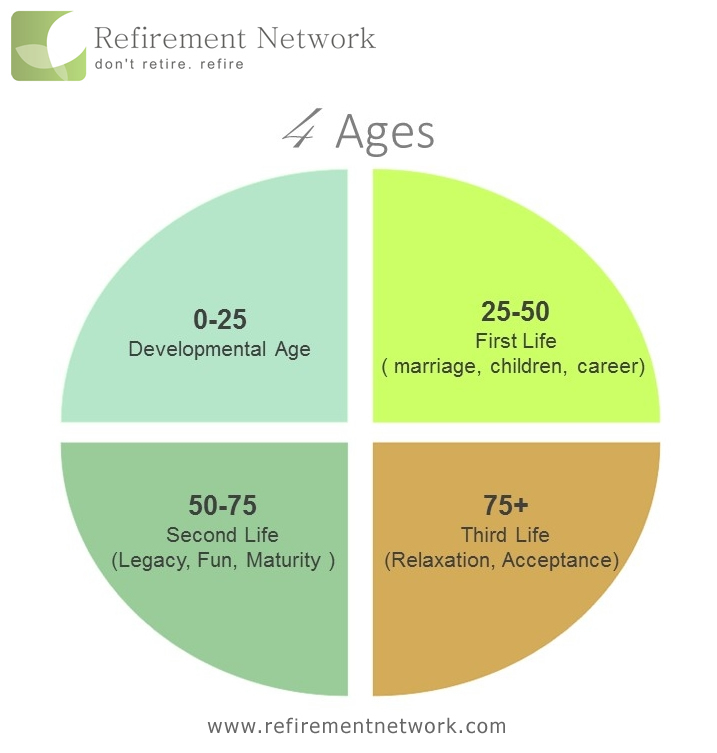 I often meet clients in their 50s and 60s who have been forced to retire. The “what next” question causes overwhelming stress as they were not prepared for this transition. In some cases, the need to supplement income to add to retirement investments becomes so urgent and overwhelming that it is almost impossible to look beyond the immediate financial concerns. They key is in the planning. It’s about thinking and reflecting on your own special talents, that unique self that you bring to the world, and finding a way to repurpose your skills and wisdom into something that is meaningful. It’s about pausing, giving yourself the time to consider how you can adapt towards being relevant and where you can add the most significance where your work is concerned. So yes, my bags are packed and I’m ready to go! I will be taking that extra empty suitcase and bring it home filled to the brim with tools, tips, learning and wisdom to share in our Retire Successfully workshops, future blogs and Life Planning meetings. I am confident that together we will make this transition easier from midlife to what’s next on the journey. Liz is one of those people who simply inspires you by just by being in her presence. She is a “glass half full” person whose passion and energy are contagious. You have probably heard of the Clamber Club? It’s a fun learning club for babies, toddlers and preschoolers that develops a child’s brain and body in stimulating and fun ways. Let us introduce you to Liz Senior, creator and founder of Clamber Club. Liz started this initiative as a side-line business and finally established the Clamber Club in 1990. Over the past 28 years, she has built this business to 65 franchises and still runs the flagship branch. She has also produced a range of CDs, DVDs and toys for babies and young children that promote exercise and movement, all available at franchise outlets, baby stores and selected toy stores. It is a rare find to meet someone who derives so much inspiration and fulfillment from her work. Liz finds the financial independence and freedom that the business brings extremely rewarding. But Clamber Club brings so much more than just financial benefits. It also gives Liz the opportunity to give back. She loves making a difference when parents and children connect through Clamber Club and finds it gratifying to empower the various franchises. Liz has just about perfected the art of living life in balance and has a natural, intuitive way of filling her Bucket Wheel® to ensure that she gives attention to the other parts of her life that bring her joy. Yes, of course, there is always room for improvement, and every Bucket Wheel® is a work in progress, but you would have to look long and hard at Liz’s Wheel® to find any gaps. To cultivate both her friendships and connections, and also her “learning” (an added benefit), Liz has included clubbing on her list of meaningful activities. Apart from Clamber Club, here are a few other clubs and hobbies that add significance to Liz’s life: a book club; lunch and dinner clubs with different groups of friends such as the Libra lunch club; an embroidery group; a Stokvel; and a monthly gathering of former school friends. 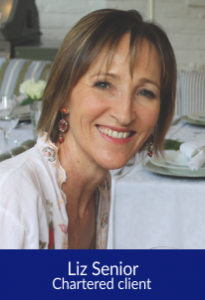 She also sings in the Johannesburg Bach choir and is part of a walking group, doing such walks together as the Wellington wine walk. Still on the topic of clubs and hobbies, Liz’s future plans include doing pottery, art lessons, improving her guitar skills and learning how to edit movies. We love the fact that Liz has included these hobbies and clubs in her Bucket Wheel®. Joining a club or group has so many benefits: it allows you to meet new people, or if it’s a closed club, like Liz’s supper club, spending good, quality time with your friends. At the same time, it helps you to keep engaged and to learn something new. We can think of no good reason why clubbing should not be a central part of everyone’s Bucket Wheel®. Our generation has been gifted with an extra season of life. In her book, The 100-Year Life: Living and Working in an Age of Longevity, Professor Lynda Gratton explains why longevity is something we need to understand; then, we need to shift some of our current thinking. She writes that, on average, we are living 30 years longer than our great grandparents and that many of our grandchildren will celebrate their 100th birthdays. Formerly, life was more linear: 25 years of education, 35 years of work, and then a few years of retirement before one died. Technology and longevity have disrupted this progression, and this shift requires us to step back and consider new possibilities. I like to call this the gift of an extra season. For each of us, this gift may look different – money, health and family are variables that play an important factor. Meet Mary and Dave who have worked and saved over the last 40 years and feel that now it is time to enjoy life, visit their three children and travel. They would like to volunteer and help when available and want to have some fun and relax. They know that they can survive on what they have saved and have a plan. Our second scenario features Annie; she is divorced, and her children live overseas. She has not managed to save enough and needs to continue working as long as possible. 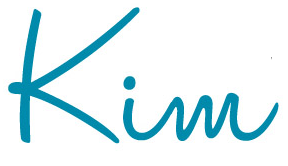 She has a great set of skills and can offer her services as a virtual assistant to several clients. Working remotely also allows her the time to travel and visit her children. Next is Anton. He had a great corporate career and now, in retirement, finds himself wanting to add value and have a reason to get out of bed every day. He is healthy and is working with a group of start-up businesses where he uses his skills two days a week to mentor and coach young entrepreneurs. Finally, Christine, having retired from formal work as a qualified nurse, decided to work on one of the global cruise liners. She had lost her husband when she was 50. She has been doing that now for more than 10 years. Her children join her on cruises from time to time, so she gets to see the world and still spends time with her family. What is the clear common denominator? Each person exercised a choice regarding what they wanted their future to look like. The gift of choice is part of this legacy season. Take the time to look at your life. Think out of the box and design a framework that works for you. Technology and better health give us options that were not available to our parents and grandparents. If ill health starts to impact our life, we may have to slow down and accept that some of the options are no longer available to us. The challenge I see too often is people slowing down too soon, not looking after their health and not opening themselves up to new experiences and opportunities. A legacy season is one where we can give back and reflect on the journey. Use the time wisely. It is a gift. Live long and die short is my motto. I hope to live in my legacy season until my last day. If this is not possible, I will accept that life can slow down, that I have lived life to the full and will live with grace and peace in this last season. We cannot control all the circumstances but we sure can make the most of the gifts we have been given. Don’t call me ‘retired’ – I’m too busy! When Alex Isaakidis retired, he and his wife took a trip to China to mark this transition and to celebrate their fortieth wedding anniversary. Little did he know that this trip would also usher in a whole new career for him … and a fresh sense of life purpose and meaning. Chartered clients, Alex and Miranda have always worked as a team, each with their own roles. So, it seemed natural to them, when Alex retired, to include him in Miranda’s Indulgent Spa business. “We attended a trade show in Hong Kong together and I was inspired by the new products and exhibiting concepts to bring back to South Africa,” says Miranda. But Alex is not limiting his sense of purpose to his work at Indulgence Spa. He has signed up for a Master’s degree in History at the Open University, and will be prioritising spending time with Miranda, “just having fun!”. He also wants to write a book about the Crawford Schools, where he worked for a number of years. “I just have to find the time to do all these things … I am living to achieve my unfulfilled dreams,” says Alex. Alex and Miranda both recognise the importance of their relationships. It’s a belief they extend to their relationship with money. “In retirement, we have a philosophy of how we will spend our money and enjoy our lives,” Alex says. He is realising that they have sufficient income. “We are lucky to have money, but we don’t live flashy lives. True to this value, Alex and Miranda are, at present, decluttering their home and minimising their household goods. If you find yourself in a transition you haven’t necessarily adequately prepared for, or in a mid-life crisis, reset yourself! You can easily do this by doing something completely out of the ordinary for your life. Alex and Miranda did this by taking a trip to China. Whatever your extraordinary act, be it big or small, do it, and breathe in the sparkle and delight of the astonishing uniqueness of it all. When Pat’s electronics business was sold, largely against her will, she booked herself into a Bed and Breakfast for a week, and cried. It took her a year to heal … but now she has crafted a whole new career and it is thriving. “I had nothing,” says Pat Schneider, Chartered client, following the decision to sell the business she and her husband had established and run together, Frank on the technical side and Pat on sales. The success of the company had been remarkable, given the growth to 20 staff, R10m to R20m monthly turnover, and Frank’s challenge with cancer in the last three years. Pat opted to hand over the details of the sale of the business to Frank, to save her marriage and her sanity. Pat felt that her efforts had come to nought. Pat approached a woman she knew who loved to crochet, and invited her to work for her. Pat identified a busy shopping mall in Centurion and rented a shop space. Pat’s story is testimony to the fact that your love can become a viable encore career. Feel free to pop into ‘The Cotton Ball’ for a crocheting lesson … or just to be inspired!